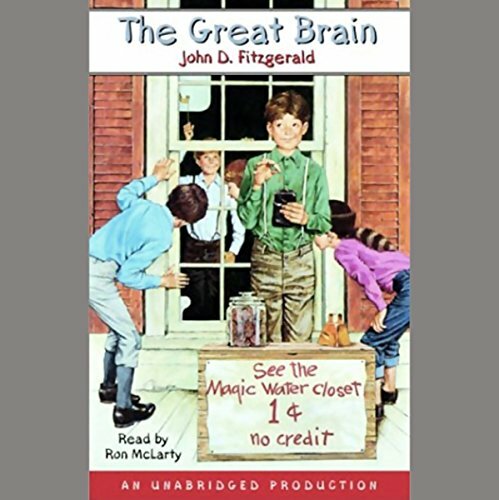 Showing results by author "John D. Fitzgerald"
The Great Brain is Tom D. Fitzgerald, aged 10. The story is told by J.D., a sometimes confounded but always admiring younger brother. Such people as Mr. Standish, the mean schoolmaster, regret the day they came up against The Great Brain. But others, like the Jensen kids lost in Skeleton Cave, Basil, the Greek kid, or Andy, who has lost his leg and his friends, know that Tom's great brain never fails to find a way home. People in Adenville are breathing a sigh of relief. 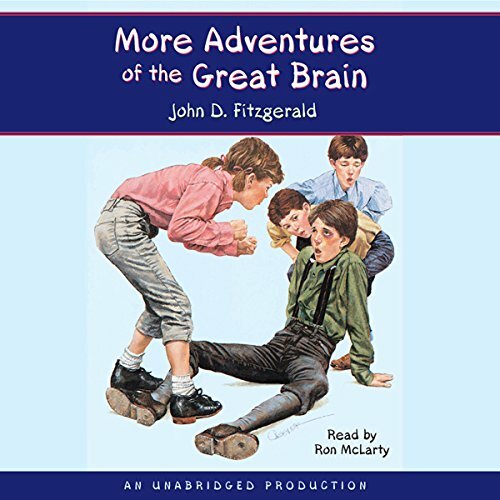 It seems that Tom D. Fitzgerald, the Great Brain, has truly reformed. For months, not one kid has been swindled and not one stunt has been pulled. But when he gets a new bike for Christmas, the Great Brain heads full speed into his old ways. And this time his ideas are bigger than ever. He puts all of Adenville in fear of a prehistoric beast from Skeleton Cave, solves a mysterious bank robbery, and captures the ghost of Silverload Mine.